The One With A Plan is back with another adventure ride. This time it is Bhutan. We will travel, explore, eat, learn, laugh and create the best memories of our life. 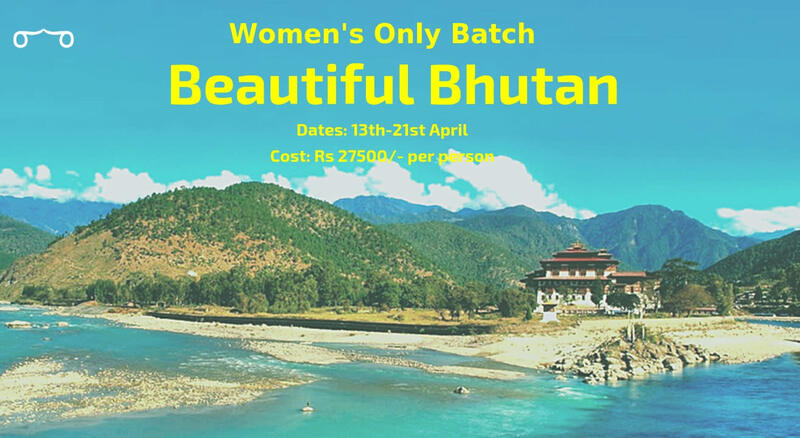 Amidst the populated and stressed lives that we live, Bhutan teaches us the real art of living! Lets visit the happiest and the only carbon negative country in the world! Day 01: Land at Bagdogra and from the airport, you will be recieved and transferred to Phuntsholing by our driver. Then will check into Hotel and if time permits will stroll in Phunsthoing town. Night Halt: Phuntsholing. Day 07: Hike to Paro Taktshang(Tigers Nest). After Breakfast will Hike to Taktshang(Tigers Nest) which is one of the most popular monastery visited by the tourist. It was first built in 1692, around the Taktsang Senge Samdup, a cave where Guru Padmasambhava is said to have meditated for three months in the 8th century. It is believed that Guru Rinpoche (Guru Padmasambhava) flew to this location from Khenpajong, Tibet on the back of a tigress and subdued a demon. He then performed meditation in one of the caves here and emerged in eight incarnated forms (manifestations) and blessed the place. Subsequently, the place came to be known as the “Tiger’s Nest”. Guru Padmasambhava is known for introducing Buddhism to Bhutan. Today, Paro Taktsang is the best known of the thirteen caves in which he meditated. In the evening stroll in Paro town. Dinner and night halt at Paro. Day 08: Day Excursion to Chelela. Today after breakfast will drive to Chelela Pass (3980m). It is the ) motorable road in Bhutan. And from the pass you can have paranomic view of s second highest peak of Bhutan mountain Jomolhari. After Lunch, we leave for our respective flights from Paro Airport.